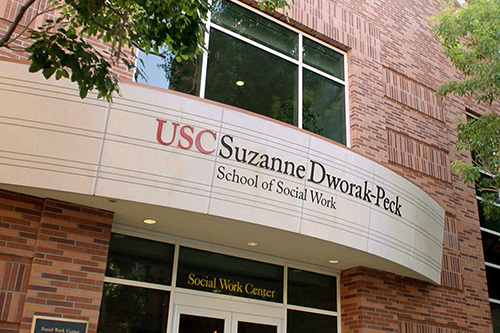 Graduation does not mark the end of your time with the USC Suzanne Dworak-Peck School of Social Work. It signals the beginning of a lifelong membership in the Trojan Family! No matter where in the world you go after graduation, the Social Work Alumni Association helps you stay connected. We create meaningful networking, professional and volunteer opportunities that engage and reconnect alumni with one another, the school, the university and your profession. As alumni, you qualify for free membership and access to the benefits available through the USC Suzanne Dworak-Peck School of Social Work Alumni Association, the USC Alumni Association and the USC Career Center. Receive all the latest news, events, offers, volunteer opportunities, videos and photos when you sign up for our monthly alumni e-newsletter, Social Work Family, by sending your current e-mail address to swalumni@usc.edu. In addition to our social feed below, you can connect to us through Facebook, LinkedIn, YouTube and Flickr. Share an update with us. We are always seeking alumni to feature in our publications and on social media, and we would love to know where you are and what you are doing. This will also help us keep you updated on alumni-related programs and services.